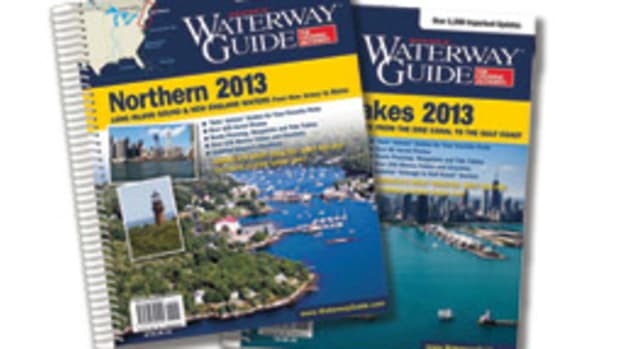 Dozier&apos;s Waterway Guide announced the release of its 2012 Northern Waterway Guide. This cruising companion for boaters explores the Atlantic coast from Cape May, N.J., through Maine, as well as the Hudson River, Long Island Sound and Cape Cod Bay. The guide features mile-by-mile navigation information, aerial photography with marked routes, marina listings and locater charts, anchorage information and expanded “Goin&apos; Ashore” articles on ports along the way. Helpful cruising data such as GPS waypoints, detailed planning maps, distance charts and bridge tables help cruisers get to their destinations.